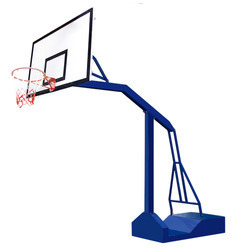 Our range of products include height adjustable basketball posts, portable height adjustable basketball posts, portable basketball posts, fixed basketball posts, basketball pole and basketball backboards. 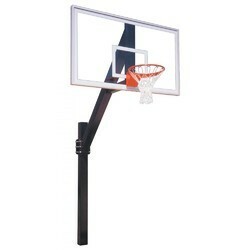 With the consistent focus on the ongoing market trends, we bring forth a unique range of Adjustable Basketball Posts. The offered posts are manufactured using as per a standardized process and appreciated for their durability and fine finish. Apart from this, these products are covered by ethyl propylene foam padding on three sides and offered at very reasonable rates within the committed period of time. 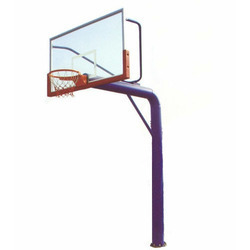 We are dedicatedly engaged in providing a large assortment of Portable Basketball Posts. These offered products are covered by ethyl propylene foam padding on three sides and PVC nylon 1000 denier tear resistant fabric. 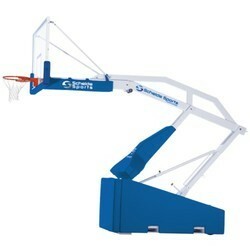 These products have jack screw for folding the basketball posts. Apart from this, we offer this product in the market at a very affordable price. 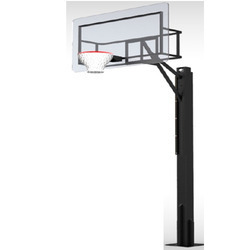 We are one of the esteemed names in the market that are engaged in offering a wide collection of Portable Basketball Posts. The offered products are designed keeping in mind the varied requirements of the customers and available in several sizes. With their optimum finish, these posts have wheels for easy movement to the desired location and portable base can be filled with sand. 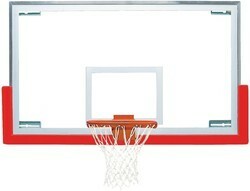 By understanding the varied needs of our valued patrons, we are broadly involved in presenting a quality approved spectrum of Fixed Basketball Posts in the market. The offered products are manufactured from high-quality components that are obtained from authentic vendors of the market. Additionally, these posts are covered by ethyl propylene foam padding on three sides.